We all mess up. Even my near perfect wife messes up once or twice a year. How do we handle life though when it seems our friends, our family, and those closest to us have wronged us in some major fashion? Forgiveness is major tenet of the Christian faith. So, how good are you at forgiveness? I’m not talking about letting folks use you and being a door mat, but I am talking about harboring feelings of anger and revenge to those whose mistakes upset your apple cart. Realize, in the verse above, Jesus is appearing to the one who denied him (Peter) and to the others who ran for the hills when he was arrested. Does he show up with revenge on his mind or a least some bitterness, or an “I told you so”? No, Jesus shows up with forgiveness. His first word to them is “Peace be with you.” In Greek, the word is “eirene” which means “peace”, but Jesus didn’t speak Greek, his actual word here would have been “shalom”. Shalom is usually translated as “peace”, but it’s so much more than that. As a traditional Hebrew greeting and farewell, Strong’s Concordance defines shalom as “completeness, soundness, welfare, peace.” It’s like saying, “We’re good. All is well between you and me.” When Jesus says “shalom” to his disciples as he first appears to them after the Crucifixion, he’s speaking a word of forgiveness. Then Jesus speaks to them about forgiving (John 20:23 above). He could have held on to their sins, but he didn’t. He forgave. That’s our model. That’s what we are to imitate. It’s the same from the Lord’s prayer, “forgive us…, as we forgive others…”. Simple in principle, but if we are honest, it’s hard to live out. Forgiveness is a recurring theme in the bible, which means it’s pretty important for us, for our own spiritual well-being, for our relationships and for the world. With these words from the Gospel of John, Jesus sends the disciples into the world to bring the same sense of shalom to others by forgiveness. That’s grace. Grace for your daily grind. Prayer: Lord, you have forgiven me to many times to count. You bring shalom, where I brought conflict to our relationship. Use me as an instrument of shalom in a vindictive, fearful world. Amen. Have you ever viewed this passage as a the beautifuly literary device that it is. In this moment, it’s three people. Jesus and two dudes who have messed up royally, and they’re all being crucified. Who do you identify with? Most of don’t imagine ourselves as Jesus, so that leaves the other two, the criminal. One derides and mocks Jesus for not being strong enough to be God incarnate, and the other one who knows his own misdeeds. This guy knows he needs God’s help, assesses the situation, and grasping for hope, he asks for something he doesn’t deserve. And Jesus grants it! What a great summary of Jesus’ message. Here at the last, he’s doling out grace and forgiveness to one who doesn’t deserve it. This guy knows he needs God’s help, assesses the situation, and grasping for hope, he asks for something he doesn’t deserve. And Jesus grants it! What a great summary of Jesus’ message. Here at the last, he’s doling out grace and forgiveness to one who doesn’t deserve it. I want to be that guy – the second criminal in this story -the one who now knows, in spite of himself, he’s saved by grace. That’s good news. That’s grace for the daily grind that we live. Prayer: Lord, remember me when you come into your kingdom. Amen. The “Maundy” in Maundy Thursday is from the Latin word “maundatum”, meaning command. It’s where we get the word mandate. It’s deeper that a requirement, it’s a must do. The scripture for this day is from John 13. Jesus has predicted his death, shared a final meal with his disciples, and washed their feet. He even knows of Judas’ forthcoming betrayal and Peter’s pending denial that he ever even knew Jesus. With his last instructions, he gives his disciples a new commandment. The new commandment is to love like Jesus loves. He just washed the feet of his betrayer, the feet of of the one who would deny him, and the feet of the others who would run away in fear when he is arrested. This is the example of love. This isn’t puppy love, or romantic love, but agape, unconditional, real, deep love. What would your life look like if you loved like that? What if five of us in one neighborhood loved each other like Jesus loved us. What would our world be like if we truly loved like that? Prayer: Lord, teach me to love, give me the courage to love, to love like you loved us. Amen. Another great image from the bible – “do good…farm faithfulness. I’ve never been a farmer, didn’t grow up on a farm, but I have friends who did. Have you ever visited, even just for a day, and worked on a farm? It ain’t easy. I’m not sure I’ve met any folks who work harder or are more connected to creation. Doing good for others will grow faithfulness in us. That’s how God’s Economy works. The psalmist encourages us to look at what we are sowing for our souls, our hearts, and our minds. Doing good for others will grow faithfulness in us. That’s how God’s Economy works. The more we do for others, the more we live with grace, love, and compassion for others, the more faithfulness grows in us. The more we give away, the more we receive. Doing good…farm faithfulness. That means faithfulness is the fruit that is a direct product of doing good for others, and that’s a fruit that satisfies our hungry souls and the spirit of those around us. 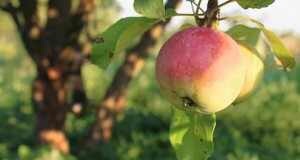 Today’s invitation and challenge, where can you do good so that you might farm faithfulness? Prayer: Lord, teach me to be a farmer of faithfulness. Show me where I can do good for others. Amen. 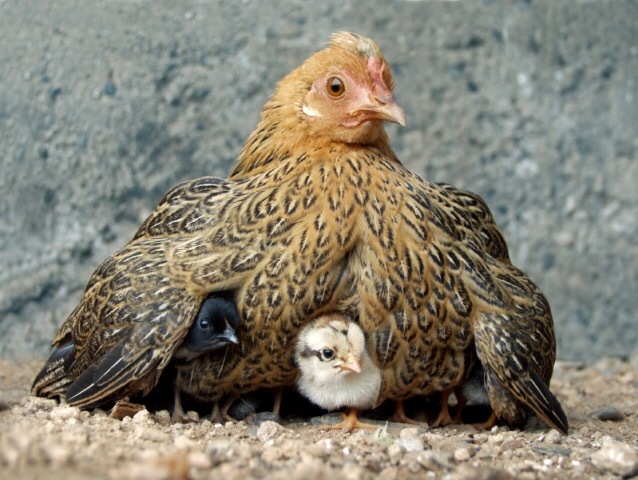 I love this image Jesus paints of God’s desire for us: a mother hen that longs to gather her chicks under her wings. Here we find love and shelter, grace and protection. The opposite of this image though, is what breaks the Lord’s heart – when we go our own self seeking ways, when we reject the love that God is offering. Sometimes we stray from God because, like little chicks, we just wandered off. Other times we go our own way intentionally to seek life on our own. Either way, God’s loving arms are always open to welcome us back into the fold. I grew up playing team sports. As look back at a list of coaches, I think of the sacrifice Coach Heflen made for me, or the belief Coach Hudson had in me, or the confidence Coach Garner gave me, or the challenge Coach Holmes and Coach Moore laid out for me, and it inspired me as a young man to work harder and do better, not just for myself, but for the team. As we approach Good Friday, where the Church celebrates Jesus’ sacrifice in grace and love for us on the cross, I’m inspired – that God would become one of us, and suffer like us, and that Jesus would give his all for us, reveals the depths of God’s love and reach for us, and that inspires me, to give my all, to do my best, to work harder to get better at life. I realize my “all” could never repay what God has done for me, but I’m not trying to pay God back, I’m trying to pay it forward as a husband, dad, brother, friend, coach, and pastor. I think that’s part of what Jesus is getting at in these verses – he’s laying down an invitation and a challenge. God, who has given everything to us, wants us to give our all in return and to pay it forward to others, to our “neighbor”. So, how is God challenging you today? Where can you do better, and what are you going to do about it? How can you pay it forward, for all the blessings, love, and grace God has given and continues to show you? This is your invitation and challenge for today. Think about it. Where do you invest your time and money? Those things become our passions. Whatever our head treasures, that’s where our heart goes, and the more time and money we invest into something, the more we treasure it. It’s a cycle of investment and passion. So, where do you spend your time and money? Think about how much money we spend on shelter, food, and transprotation; no wonder we treasure these things beyond just needing them to live. Think about where else we invest time in money. I have a friend who spends tons of time serving her community, and meeting the needs of folks in her community who need help. Guess what, she loves the people she works with and she loves her community, because she is so invested in the lives of others in her hometown. We invest in sports teams, favorite t.v. shows, hobbies, etc. We invest in them, and our passion for these things grows deeper. This all stirs up a big “what if…” in me. Now, what if, hearing Jesus words, we come to our relationship with the Lord with this investment/passion cycle in mind? We begin to treasure the things that God treasures for God’s kingdom and all God’s children. The investment/passion cycle in our lives becomes loving God and loving neighbor, and the more we do it, the more this passion of serving our neighbor grows, to the point that the needs of all are met. So, take a look at your calendar and your bank statement, what are you investing in? Prayer: Lord, teach me your ways. As you have invested in me, and have a passion for me, stir that same love and passion in me, so that I will invest in others, knowing they will become my passion, because they are your passion. Amen.